Why Buy an Electric Bike at a Store? Buying an electric bike at a store is one of the most pleasurable experiences you can have. Especially at a Pedego store because they’re so colourful and fun. It’s the complete opposite of purchasing an ebike online. Your computer is never going to smile back at you and then tell you all the amazing, secret trails around your area. It’s not going to introduce you to others. Sure, it may give you a discount, but at what cost? If something breaks on your electric bike will your computer fix it? 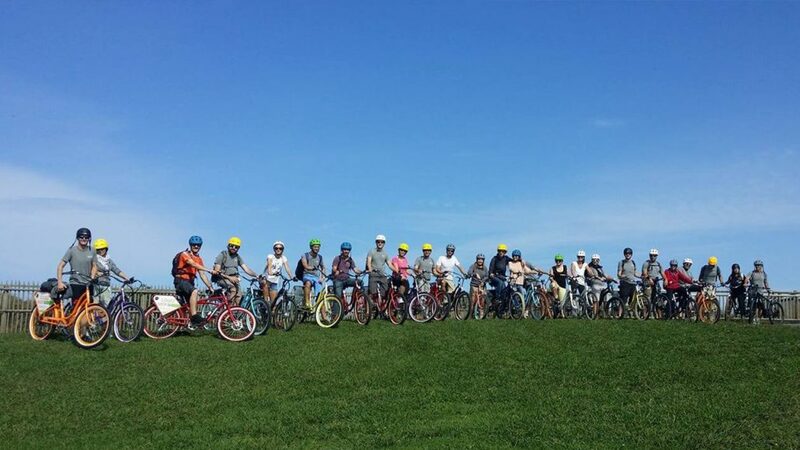 We were inspired by Independent Bike Store Day on March 24th to list the reasons why people should buy an electric bike at a store versus purchasing one online. 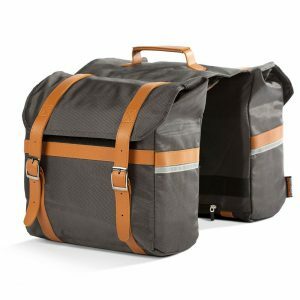 The exception to that rule is purchasing an electric bike on the products page of our website because in most every case we’ll send the electric bike to your closest bicycle store to have them build it and pass along the support you’ll need to thoroughly enjoy your electric bike experience. So, without further ado, here are eight reasons why you should by an electric bike at a store. A bike isn’t a book. You have to get comfortable with it and on it. The owners and employees in the stores live and breathe bikes and have the expert information to get you on the right one. For example, do you know the realistic distances you are likely to get on a 48V 10Ah versus a 48V 15Ah battery? It’s not the often-inflated claims published online. Or, why does the Stretch cargo bike have a 24-inch wheel and what differences does it make versus the 26-inch and 28-inch options on the City Commuters? We recommend visiting a store and trying them all to decide what’s best for you. Have you ever tried putting together a piece of IKEA furniture? Even those without moving parts can be frustrating to build in your home. There’s a reason every bike store has at least one person on site with a mechanic’s certificate. It’s so they can effectively and safely assemble the bikes, check all the fastenings and set up such important items as brakes. You don’t want to mess up setting those up! This is one of the best reasons why you should buy an electric bike at a store. Electric bike manufacturers that only sell their products online can offer a discounted price but when something breaks, or when regular maintenance is required, you’re often left on your own. All Pedego bikes come with a two-year warranty and many stores offer tune-ups as part of the purchase price. Unless you’re a bike mechanic, you’re going to have to visit a bike store eventually. And there’s a chance they may not know how to fix the electric bike you purchased online. As mentioned above, buying an electric bike is a fun, social experience. Some people require multiple visits to bike stores to decide on an ebike they want and over time you’ll get to know your local store owner and the mechanics. They’ll introduce you to others who love to bike and you’ll make new friends who will want to go ride with you outdoors rather than just interact with you on social media. Quick: what’s the weight difference between spoke wheels and mag tires? And do you know if that child trailer you’re looking at can easily fit onto your ebike? How about what’s the best lock to use? Sure, you could spend time looking up the questions to those answers online but what about the questions you don’t know that you don’t know? A shop owner or employee is there to help answer all your questions and provide advice about what model is right for you as well as what upgrades and accessories you should consider. One of the best things about owning a Pedego electric bike is that there are other Pedego riders out there looking to ride with you. In fact, there’s a reason so many bike stores have coffee shops attached to them now — it’s because being a bicycle rider automatically makes you a member of a community of other like-minded people. Sure, this can happen online. (For example, we just heard from Pedego owners in Richmond, BC, who met an Oregon couple on the American Pedego Owners Facebook page and they went riding together in California.) But it’s a lot easier, faster and more powerful to just head down to your local bike shop and say hi. We forget that it’s the independent stores that keep our local economies flourishing. A dollar spent within your community stays within your community. By purchasing something online, you’re only benefitting the company at the end of the line. For example, think of the little league teams and local charities in your area that are supported by local businesses. Large online corporations aren’t doing that. We all spend far too much time in front of screens in our daily lives. Get off the couch, get out of the house and visit your local bike store. 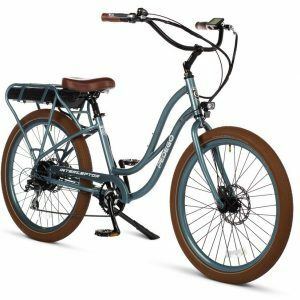 Those first strides out your door will literally be the first steps you take to an exciting and fun new life involving an electric bicycle. 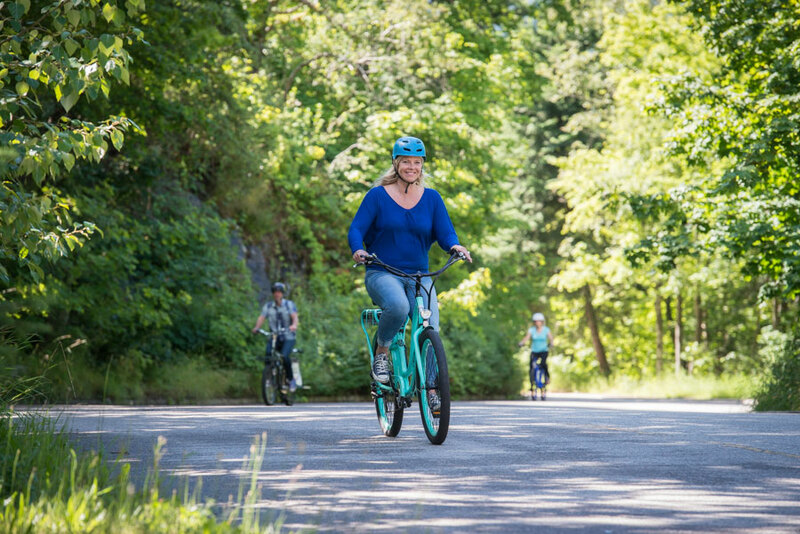 So, to sum it all up, there are benefits for you, for the shop owner and employees and for your community as a whole when you purchase an electric bike at a store. But don’t just take our word for it. Why do you shop at your local bike store? Or why do you not? Let us know in the comments section below.